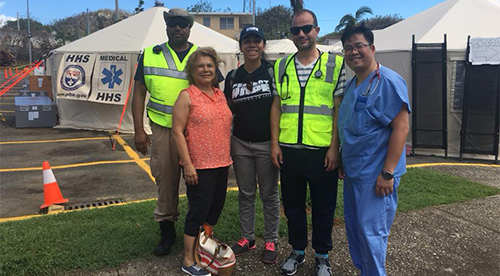 In the aftermath of Hurricane Maria, clean water, food, and fuel for generators was difficult to find. Many cell phone sites were out of service and emergency officials struggled to distribute supplies to the island’s population of 3.4 million people. The medical conditions continued to deteriorate as only 11 of Puerto Rico’s 69 hospitals had power or a fuel supply. 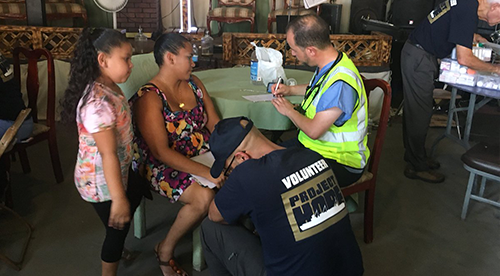 The MedGlobal team, in partnership with Project Hope, visited several sites around the island to bring medical care and medications to the population. In the south, the teams visited a makeshift hospital in a stadium capable of treating 250 patients. 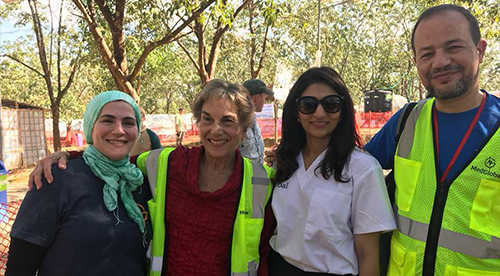 In the northeast city of Cieba, volunteers partnered with a local NGO, the Jewish Community Center of Puerto Rico, to perform free physical exams and provide free medication.